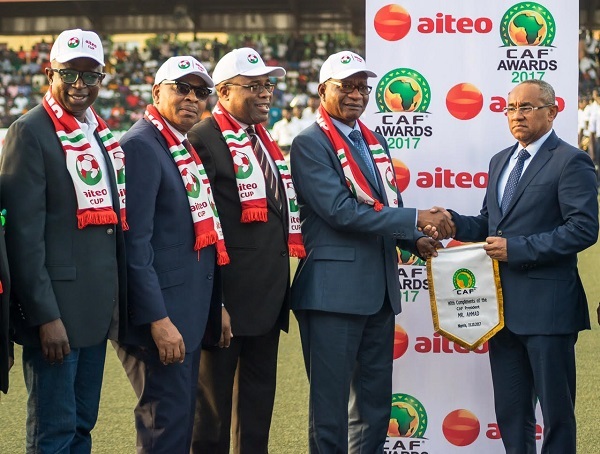 Aiteo takes over as sponsor of CAF award – Royal Times of Nigeria. Oil and gas company, Aiteo has become the new sponsor of the Confederation of African Football (CAF) award. The company took over the sponsorship from telecommunications giant, Globacom. Aiteo executive vice president, Benedict Peters, in a statement, said, “This sponsorship shows that there is a clear momentum behind Aiteo’s involvement in the game. “Buoyed by the success of our corporate social commitment in Nigeria that has resulted in our emergence as the first African nation to qualify for the world cup, we are encouraged to advance our investment in the game to a continental level. “Our aim is to bolster the profile of African players globally, and encourage budding talents to put in their best. “CAF Awards shares our values in relation to creating opportunities, healthy competition and recognition for hard work. CAF President, Ahmad Ahmad, said the continental body is “very glad to welcome Aiteo on board this partnership. “Aiteo is distinguished for its commitment to excellence and this sponsorship is a demonstration of its confidence in CAF’s renowned value proposition as a veritable platform for brand extension across Africa.